Glyndebourne is famous for the annual Opera festival that runs through the english summer. Founded in 1934 by John Christie it is now a registered charity dedicated to produce high quality opera and promoting young operatic talent. 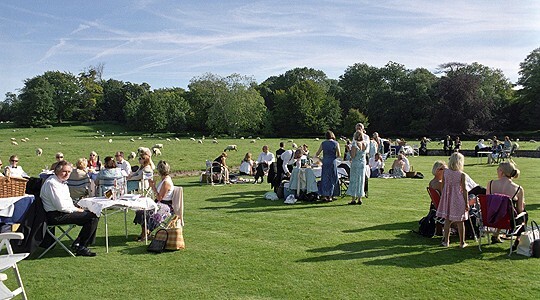 Glyndebourne is soley supported by the contributions made by its members and from ticket sales. The main performances are within a large 1,200 seater opera house with world class acoustics, completed in 1994. The Glyndebourne company also tours annually. For more information about the opera and the festival season, visit the Glyndebourne website. If you want to visit Glyndebourne and stay for the weekend, check with our B&B in Lewes for availability.